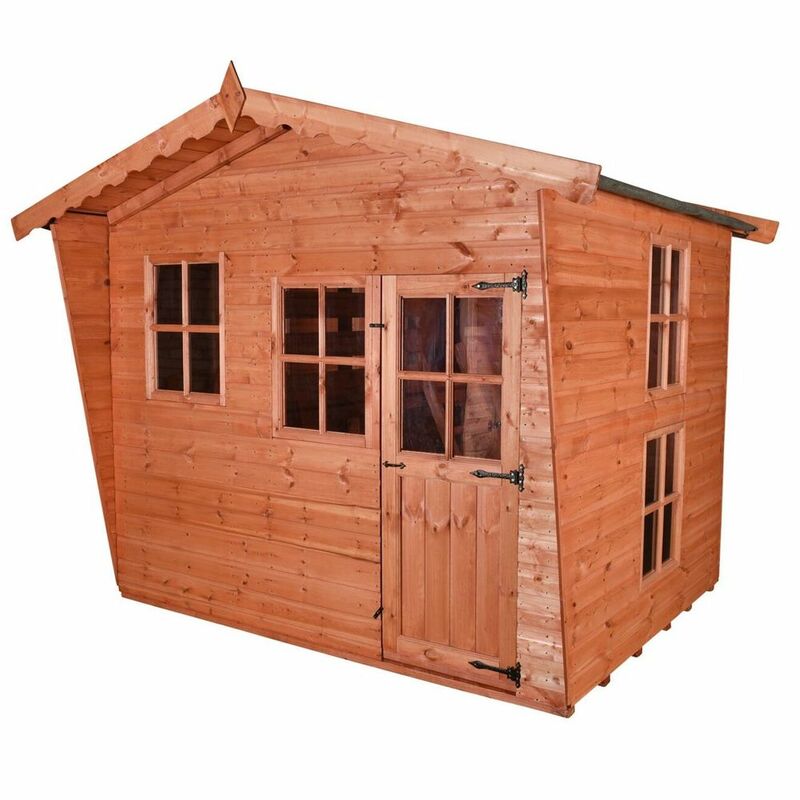 The Forest Lodge Wooden Playhouse is a great investment for your garden or yard space. 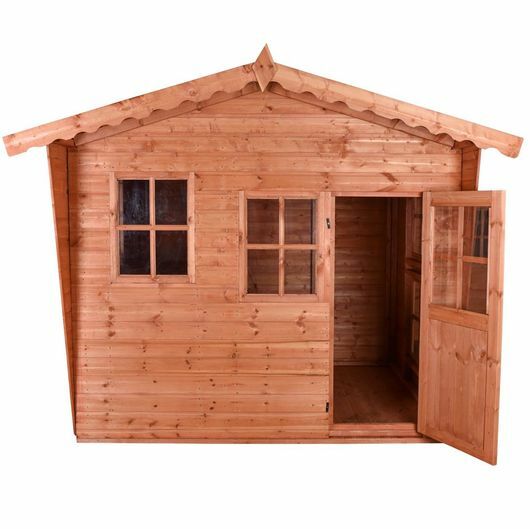 It features our Super Strong framing and joinery manufactured cottage style door. The cladding is 12mm tongue and grooved shiplap sourced from European sustainable forests.The windows and doors are glazed with safe clear styrene instead of glass. 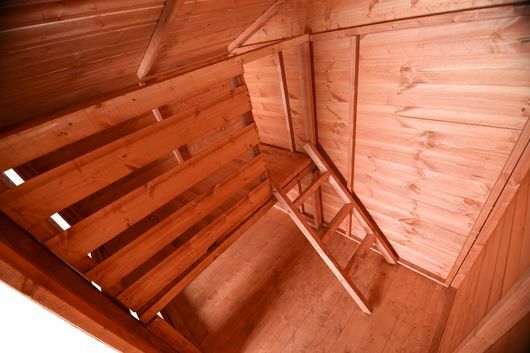 This stunning playhouse features a ladder to an upstairs space to fuel the imagination of your children and make their playhouse a present they'll never forget.